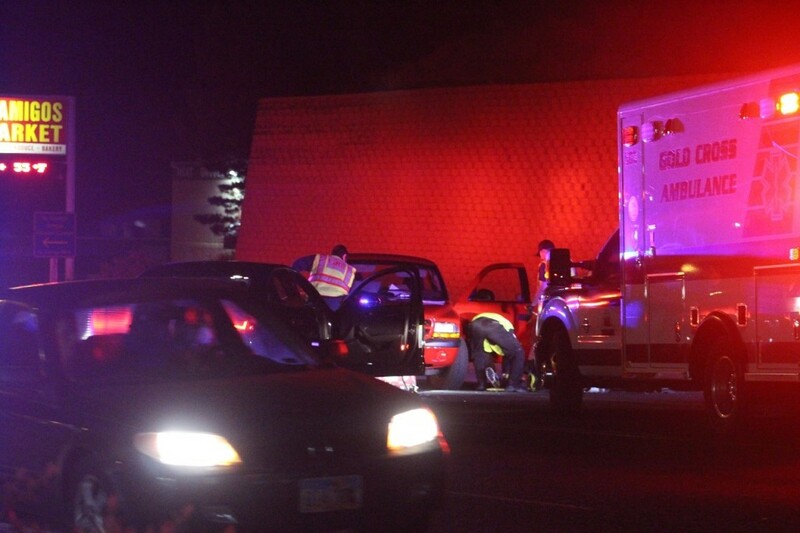 ST. GEORGE — Two vehicles collided on North Bluff Street late Friday evening when one driver turned left in front of another car, causing minor injuries and extensive damage to both vehicles. 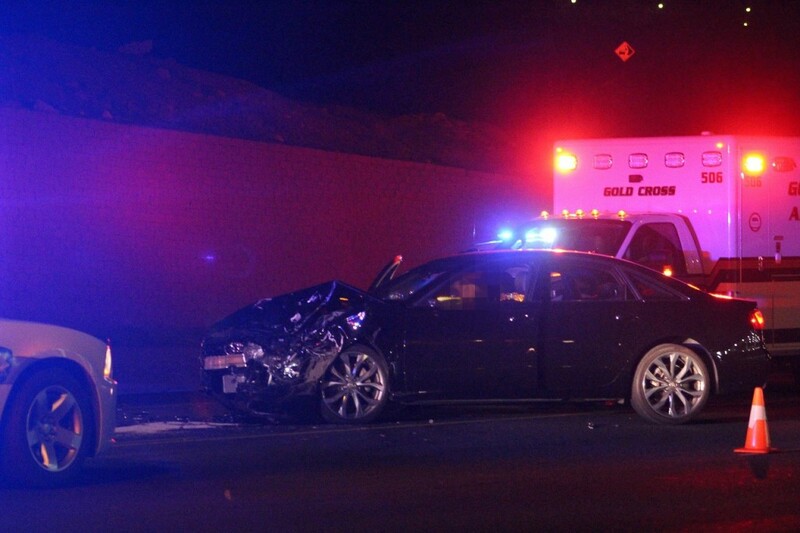 Police officers and emergency personnel responding to the collision about midnight found two damaged vehicles in the southbound lane. A woman driving a red Dodge Dakota pickup truck was leaving the Mira Monte Sinclair gas station, 286 N. Bluff St., from an exit that allows for a right turn only. Instead of turning right, the woman pulled out and made a left-hand turn directly in the path of a black Audi, St. George Police Sgt. Wade Johnson said. 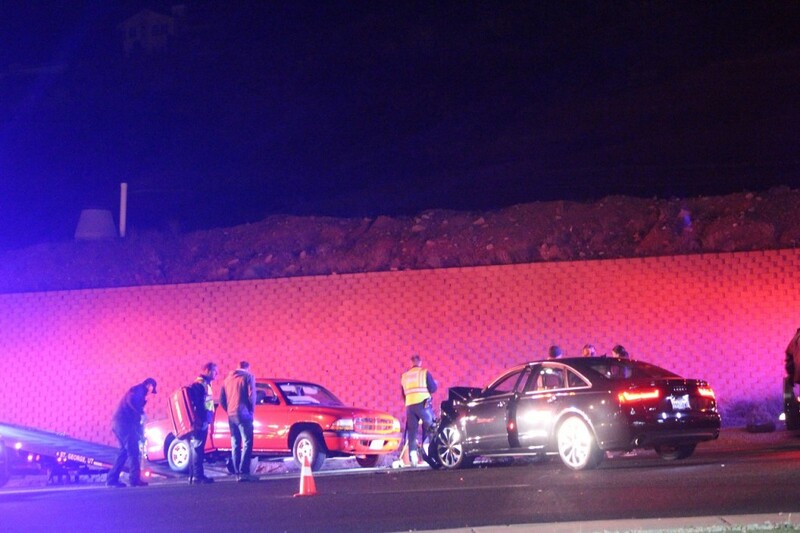 The woman driving the Audi was looking down just as the Dodge entered her lane, leaving her no time to avoid the collision. 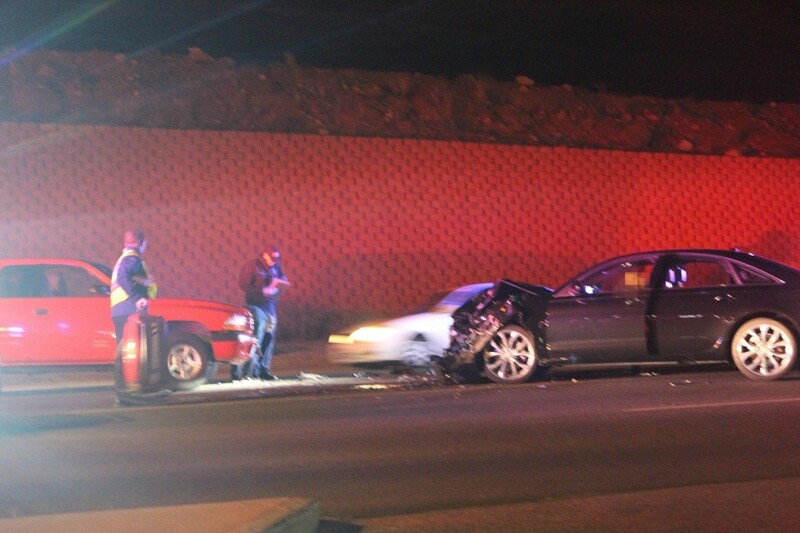 The force of the impact sent both vehicles to the southbound lane of North Bluff Street, leaving the Dodge facing northbound. The driver of the Dodge pickup truck was transported by ambulance to Dixie Regional Medical Center in St. George, Johnson said. She was released a few hours later. 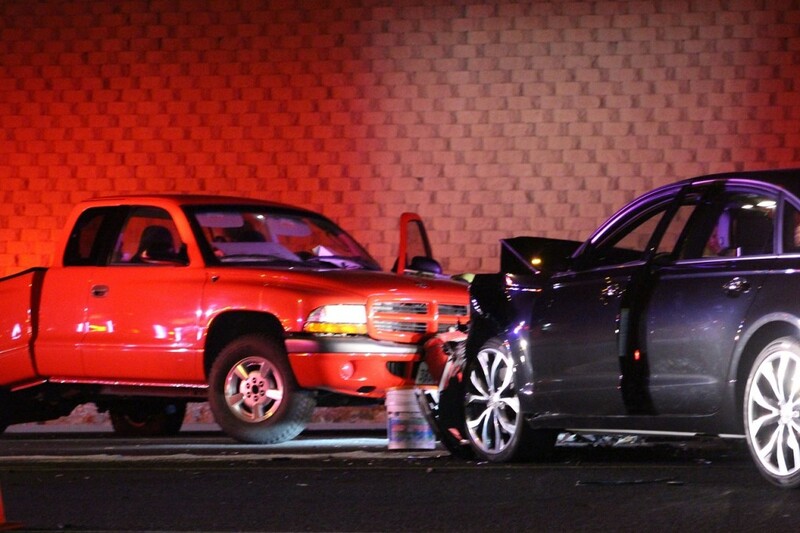 The Dodge pickup received extensive damage to the driver’s side panel, while the Audi was left with considerable frontal damage. 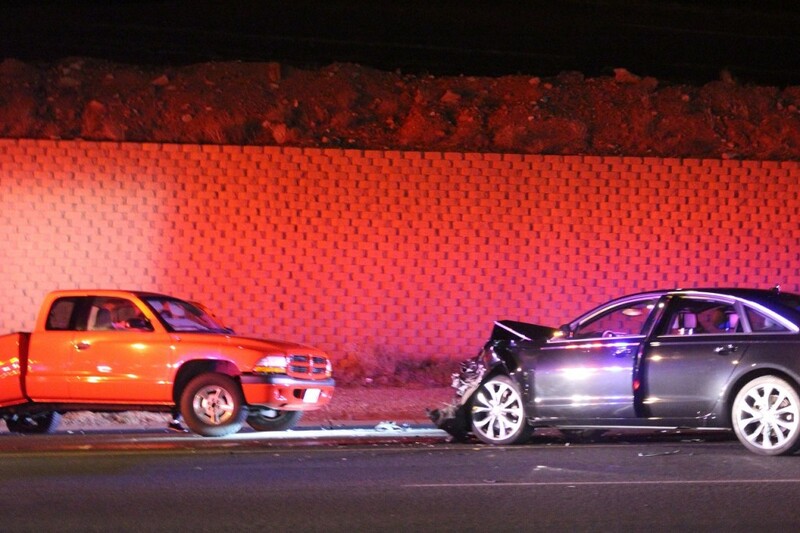 Both vehicles were inoperable and had to be towed from the scene. 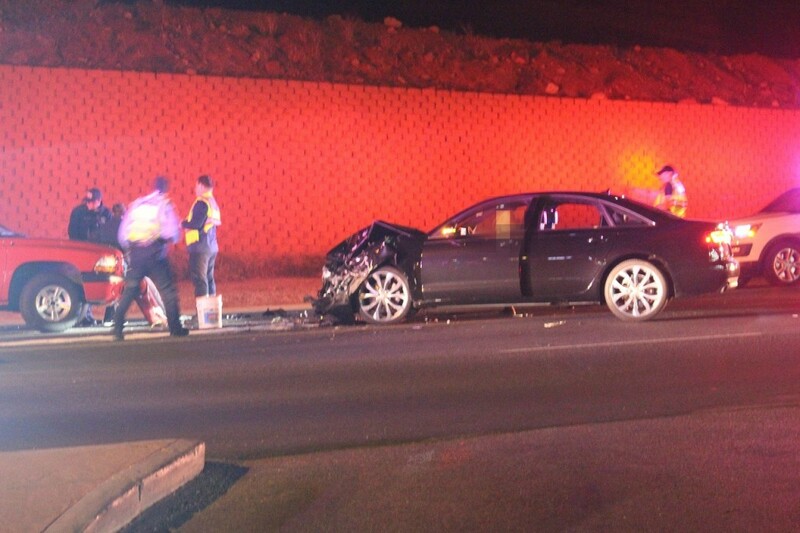 The woman driving the Dodge was cited for failure to yield and the driver of the Audi was given a warning, Johnson said. 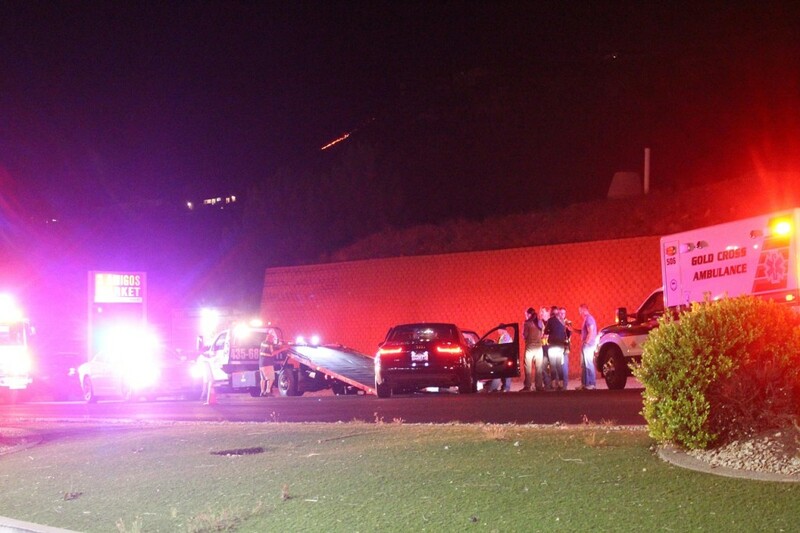 The St. George Police Department, St. George Fire Department, and Gold Cross Ambulance responded and tended to the scene.